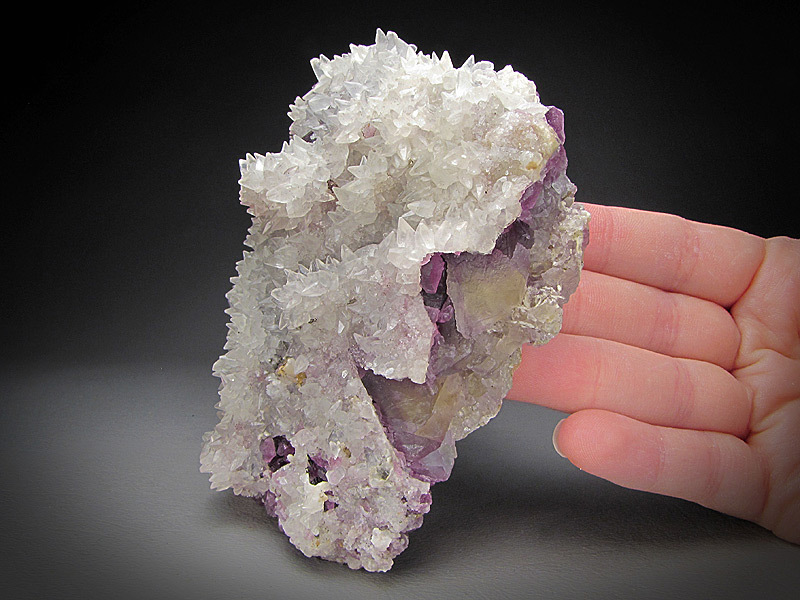 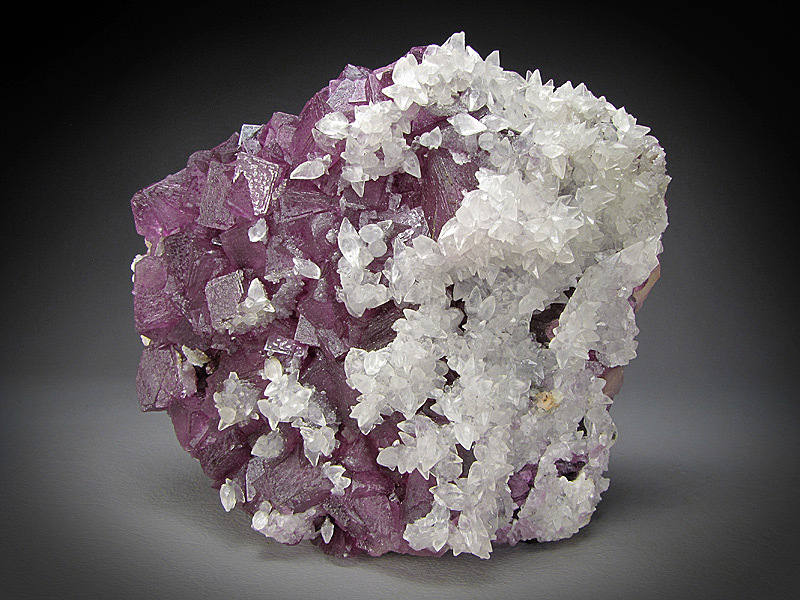 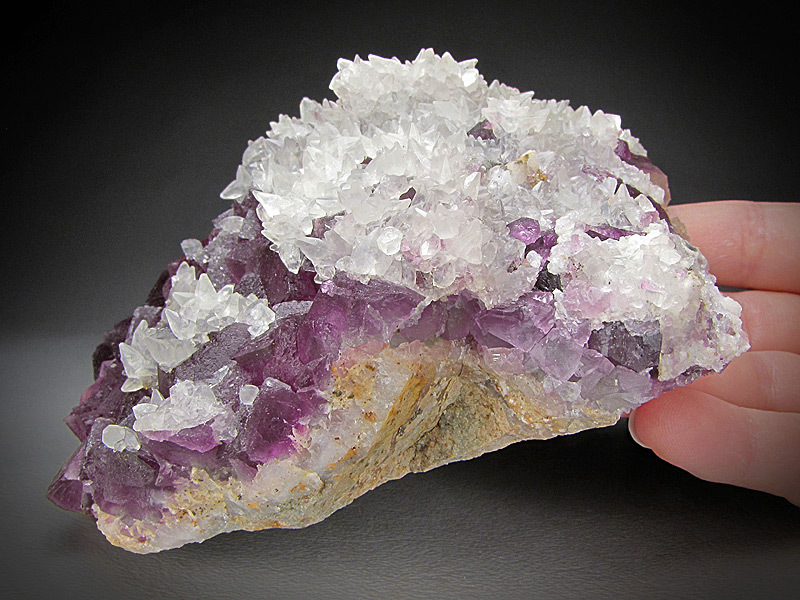 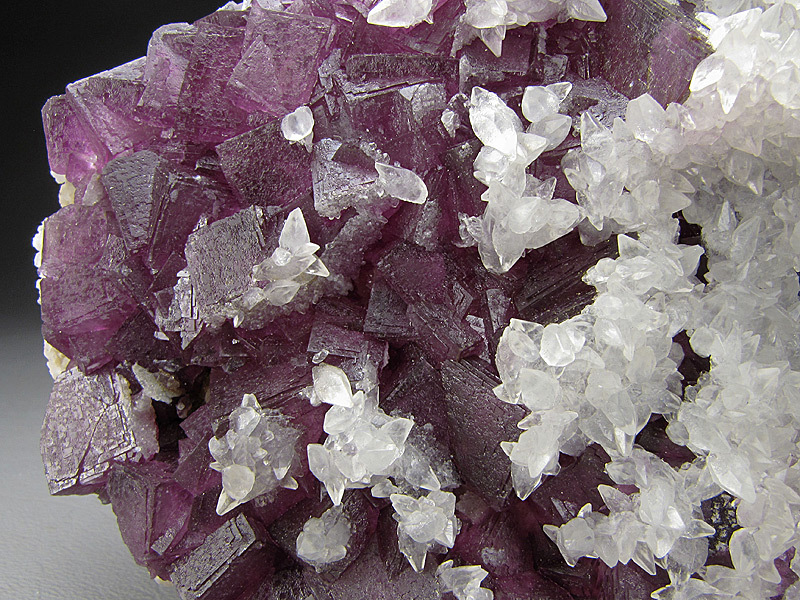 Well-formed, reddish-purple colored fluorites with clear calcite crystals highlighting some faces make a nice plate. 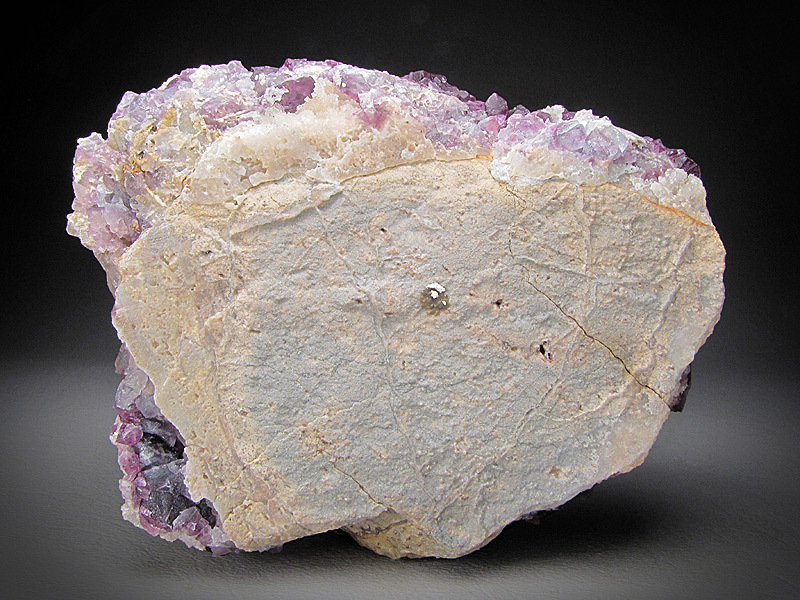 The piece measures 11 wide by 10 tall by 5 cm front to back. 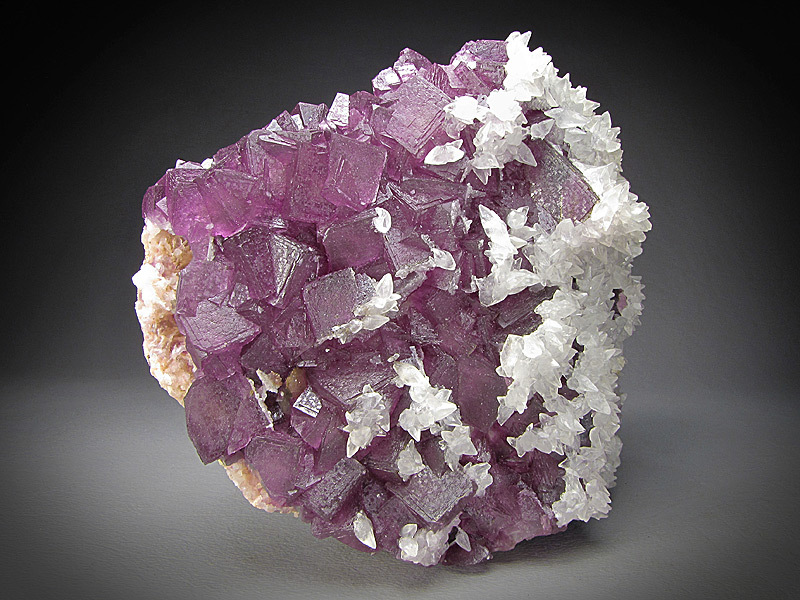 The locality is the Jingbian Mine, Hengbu, Zongyang County, Anhui Province, China. 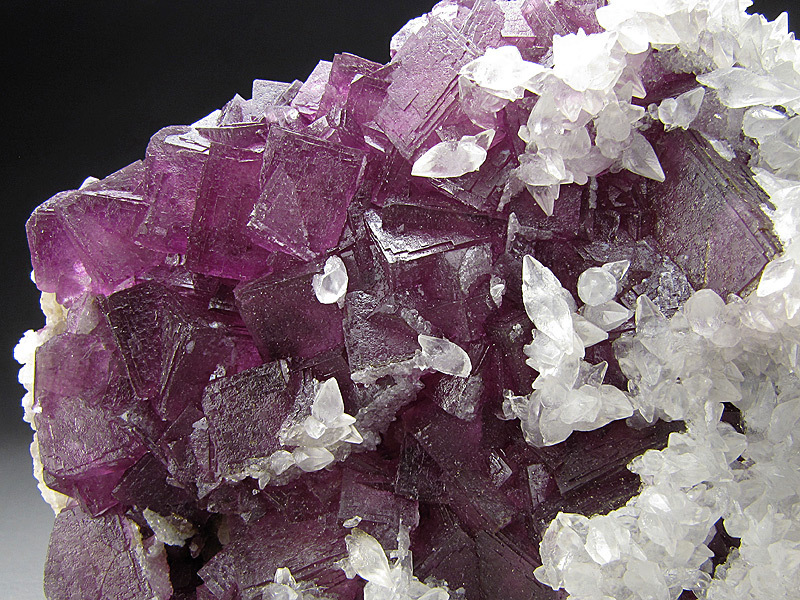 There is damage to a few of the fluorite crystals at the edges.